Chelsea through to quarter-finals of the Carabao Cup after scintillating game at Stamford Bridge. 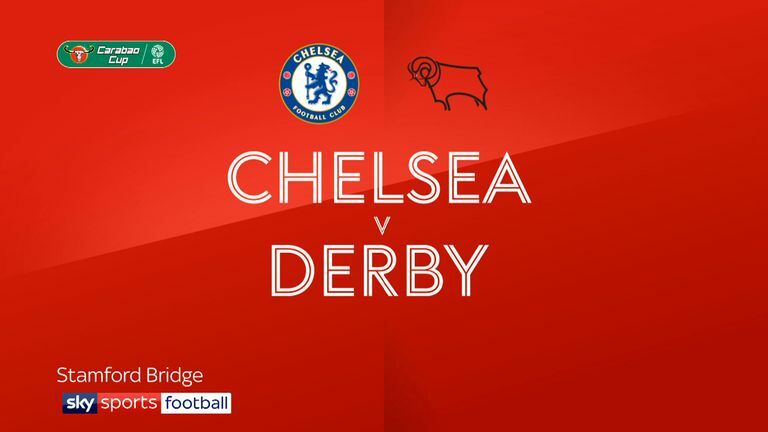 Highlights of the Carabao Cup fourth round game between Chelsea and Derby. Frank Lampard's return to Stamford Bridge ended in defeat as his brave Derby side were beaten 3-2 by Chelsea in the fourth round of the Carabao Cup. 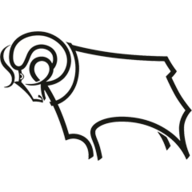 Two own goals cost the Rams in the first half, as both Fikayo Tomori, who is on loan from Chelsea, and his centre-back partner Richard Keogh managed to put the ball past their own goalkeeper. Maurizio Sarri made eight Chelsea changes as only N'Golo Kante, Alvaro Morata and Willian survived from the weekend. There were starts for Ruben Loftus-Cheek and Andreas Christensen. Derby were unchanged but Fikayo Tomori and Mason Mount started against their parent club. 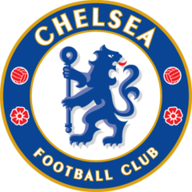 On both occasions, Derby responded, with strikes from Jack Marriott and Martyn Waghorn, but Cesc Fabregas struck the eventual winner shortly before half-time to send Chelsea into the quarter-final, where they will face Bournemouth at home. Tomori may have dreamt about his first Chelsea goal, but he probably did not imagine it coming in these circumstances. The defender was under little pressure in the fifth minute as he attempted to clear Davide Zappacosta's cross, but he miscued it, managing instead to slice the ball past his own goalkeeper and into the net. Derby's heads did not drop, however, and they were level four minutes later. Tom Huddlestone took advantage of some slack play at the back from Chelsea to pick the ball up in midfield and feed Marriott to his left. The striker, a lifelong Chelsea fan, then darted into the box before finishing low past Willy Caballero. More misfortune was to come for Derby, and for the third time in two games one of their defenders managed to find the back of their own net. First it was Jayden Bogle at Middlesbrough, then it was Keogh who followed Tomori at Stamford Bridge, the Derby captain steering another Zappacosta cross past his own goalkeeper after 21 minutes. Derby were soon level again. Waghorn had missed a glorious opportunity to put the Rams ahead at 1-1, but he was not going to be denied again in the 27th minute as Mason Mount, Chelsea's other loanee, slid a perfect ball across the box for him to tap home. They could not hold out until half-time, though, as Fabregas arrived in the box to fire in and make it 3-2 in the 41st minute. Derby had two glorious opportunities in the second half to find the goal to send the game to penalties but Marriott, again through on goal, could not beat Caballero midway through the half. Substitute David Nugent then hit the post in the 90th minute as Lampard, who had enjoyed a warm ovation before kick-off, was ultimately left disappointed. Chelsea have now won 11 of their last 12 home games against Derby County in all competitions, netting 37 goals in those matches (3.1 per game). This was Derby boss Frank Lampard's first defeat at Stamford Bridge as either a player or manager since September 2013 when Chelsea lost 1-2 to Basel in the Champions League. Chelsea have won 11 of their last 12 home League Cup games against sides from outside of the Premier League, drawing the other 1-1 with Burnley in November 2008 before being eliminated on penalties. Derby County are the first team to score two own goals against Chelsea since Stoke City did so in the Premier League in January 2013. Jack Marriott has been directly involved in six goals in his last five games for Derby County in all competitions (four goals, two assists). Cesc Fabregas has had a hand in seven goals in his last seven League Cup appearances for Chelsea (three goals, four assists). Derby may have been the losing side at Stamford Bridge but they had several superb performers on the evening. Marriott was probably the standout as he took his goal superbly in the first half and worked tirelessly throughout to give Chelsea's defence a difficult game. Chelsea assistant manager Gianfranco Zola: "They really played well and surprised us, they played with a lot of quality. Our passing wasn't as sharp as normal and above all in the last 15 minutes we lost control and the distances were too far, and when you give space to the players Derby have got it becomes difficult. "We need to improve. It was positive in some ways but other things didn't work properly tonight." Frank Lampard: "It happened through the game and at the end of the game and I really appreciated it. To be able to say thank you and to [get that reaction] as the opposition manager isn't normal. "I did leave out the back door here and that was disappointing. But I walked in through the front door tonight, and thanked the fans for their support for 13 years. Then I walked over to the Derby fans who have travelled here in numbers. I was a lucky man to get it from both ends." Chelsea face Crystal Palace in the Premier League on Super Sunday, live on Sky Sports Premier League, while Derby host Birmingham in the Sky Bet Championship on Saturday.